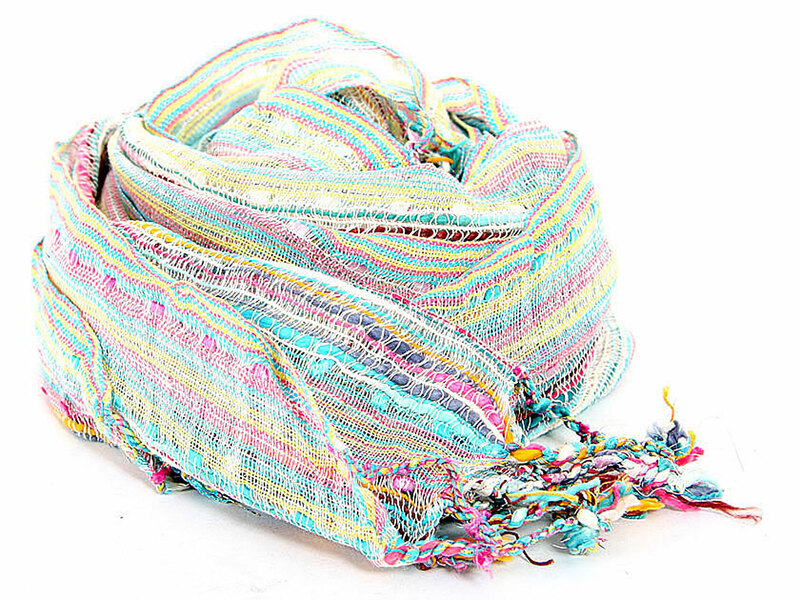 Bright colored woven stripes in pink, turquoise, yellow sprawl over this loosely woven yarn dyed 100% viscose scarf. Twisted fringes on its ends. Imported. Hand wash.